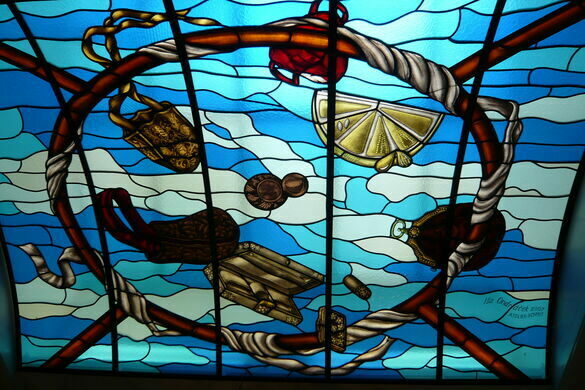 A stained glass skylight at the Tassen Museum of Bags and Purses. In a 17th century mayoral house on an Amsterdam canal there is a museum that homes in on one specific region of fashion history: purses. This collection might seem strangely specific, but the museum curators view the handbag as an historical artifact at the intersection of technology and fashion. 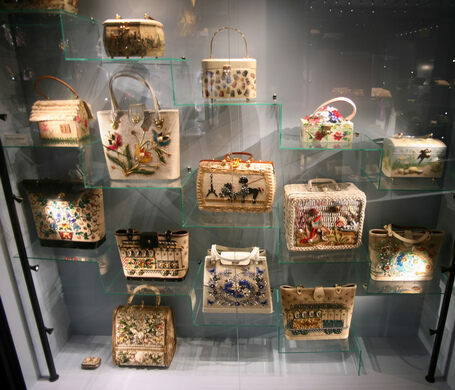 It’s also something we’ve produced a lot of throughout the ages, and as such, the museum is stocked floor to ceiling with purses, bags, cases, satchels, and all other sorts of storage accoutrement. 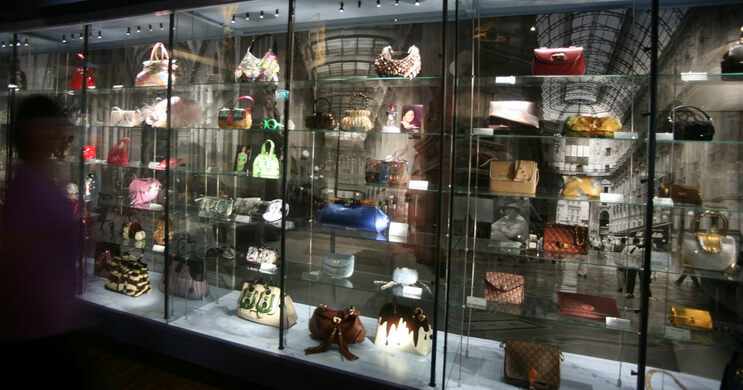 It’s the largest collection of purses and bags the world over, with more than 5,000 artifacts and counting. The oldest bags in the collection date to the 16th century and were mostly used by men to carry Bibles, alms, etc. 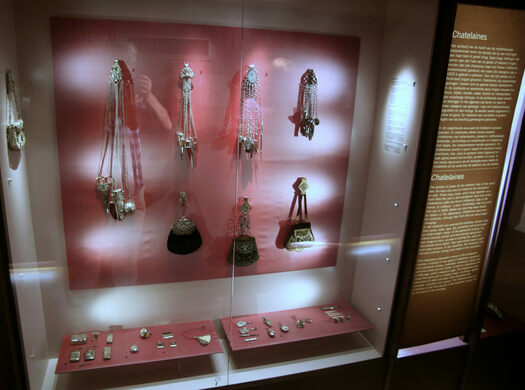 There are châtelaines, proto-toolkits women could carry attached to their belts on chains around the 17th century, that carry scissors, thimbles, and smelling salts. 20th century bags range from utilitarian rucksacks to tiny clutches, reflecting the many different roles women played throughout the century. There are as many different kinds of purses as one could imagine. 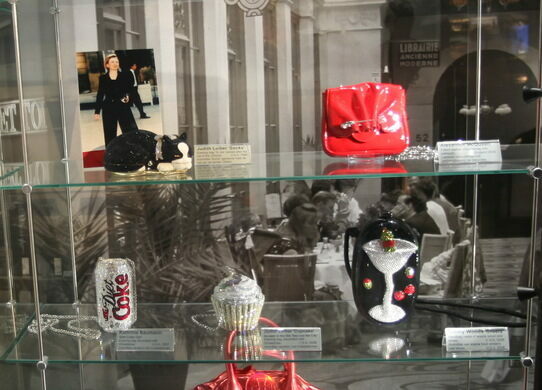 The museum has items like Margaret Thatcher’s handbag and the Versace purse Madonna carried to the premiere of Evita. There are ancient bags made from dirtied goat’s hide and purses encrusted with thousands of Swarovski crystals. 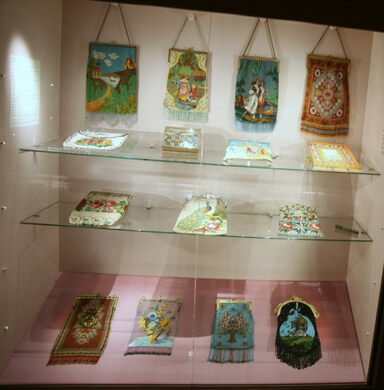 The purse has always been a handy accessory, but here at the Tassen Museum it takes the spotlight. 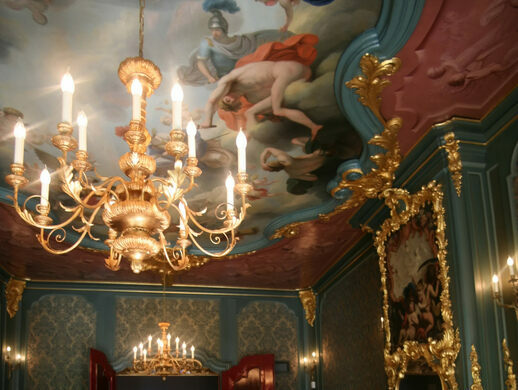 Opulent period costumes and murals lead you on a journey through fashion history.